The smartest way to ensure working with the best carriers in the business? 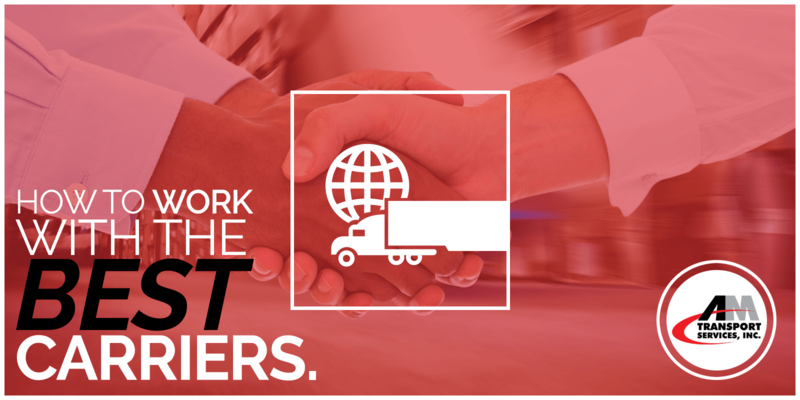 Find a third party logistics provider that has long-term relationships with a core group of small to midsize carriers. But how do you find a good logistics partner? One who will pick up and deliver your shipments on-time and in perfect condition? How do you find a trustworthy broker? One who won’t let you down? One who works with only the top licensed carriers in the transportation industry? It’s tricky, isn’t it. If you were shipping goods in 2018, you were painfully aware of the capacity crunch, fueled by the driver shortage, the new ELD rule, a booming economy, and a couple of killer storms. Rates went up and so did tender rejections. And if you found yourself relying on the spot market, your freight budget was probably out of whack. We feel your pain. We’ve been in logistics for 30 years, and 2018 was an exceptional year. It looks like things are going to settle down in 2019, but the truth is the transportation market is always turbulent. You need transportation partners you can count on. But where are the trustworthy, honest, looking-out-for-your-freight brokers? And how do you know when you’ve found them. Here at AM Transport, we believe in asking good questions. If you know what to look for, a good question can give you all the information you need to make the right decision for you and your business. Carriers are the lifeblood of the transportation industry. A good carrier can save you time, money, and effort. But you don’t have time to vet carriers, so you’re looking for a freight broker who works with the best carriers, day in and day out. If you’re looking to work with a new freight broker, here’s a great question to ask. How do you keep a good carrier once you find them? And what would a good answer look like? The team at AM Transport works with the best carriers in the business. We’ve been in logistics for 30 years, and that’s how long we’ve been working with some of our carriers. How do we keep good carriers for the long haul? We’re transparent with our carriers. We believe in honesty and openness. We don’t shy away from problems, we work on them together. Our team members get to know dispatch and drivers. 24/7 availability. We don’t believe in answering services or phone trees. When you call AMT, you talk with a real person committed to answering your most pressing questions. We pay detention. This is a no-brainer, but it’s not the norm. Our carriers and drivers are important to us. If they’re held up, we pay them. Period. We pay our bills on time. Doesn’t everyone? That’s a resounding NO. Everyone doesn’t. Check out our Google and DAT reviews. You’ll never find a complaint about slow payment. Give us a call today and experience what it’s like working with the best small carriers in the business.